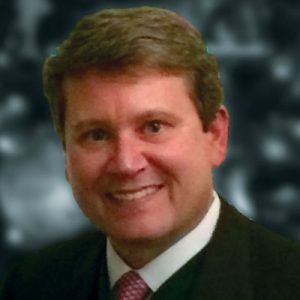 Tom Becherer is founder and CEO of Delta Bridge Inc., a telecommunications and engineering consulting company based in the Washington, D.C., area. Prior to starting Delta Bridge, Becherer worked for Boeing Co. as a senior business developer for an international business unit responsible for approximately $3.5 billion in annual revenue. He joined Boeing through the acquisition of Autometric Inc. A year after the acquisition, he was promoted to senior business developer, where he led a team into Iraq in May 2003 to conduct a telecommunications survey. Before joining the private sector, Becherer spent 11 years working for the U.S. government: first as a Senate aide, working for Sens. Pryor and Moynihan. In 1993, he joined the Clinton administration as a White House aide and later as a special assistant in the Office of the Secretary of Defense, where he worked on the U.S.-China Defense Conversion Commission and helped negotiate the first agreement between U.S. and Chinese defense organizations since Tiananmen Square. In 1999, after starting a public diplomacy initiative to use technology in the “diplomacy of deeds,” his team won a “Hammer” award from the White House and was selected by Federal Computer Week as one of the annual “Fed 100” for his team’s effort in setting up internet centers in nine Kosovo refugee camps, in eight different countries in 90, days with contributions through private partners such as Apple, Hewlett Packard, SGI and Gateway. Becherer is a graduate of Ole Miss, Class of 1985. He is married to Jenny Cockburn Becherer, and they have two children, Tom and Janie.